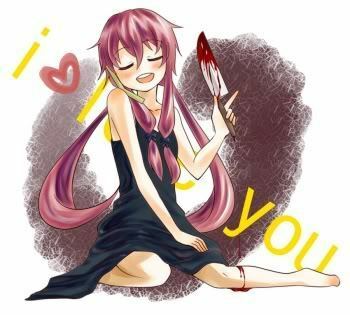 Mirai Nikki. . Wallpaper and background images in the mirai nikki club tagged: mirai nikki yuki yuno deus minene. THAT is SO something she would do!